Writer, Actor Comedian Darren Brand is well known for his comedic performance on Nick Cannon’s Wild 'N Out along with his MTV YouTube show with Timothy DeLaGhetto "Basic to Bougie”. 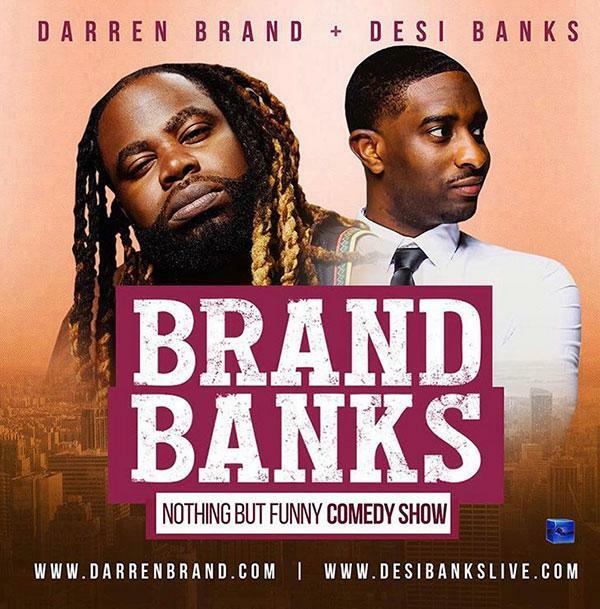 Brand is touring the country alongside comedian Desi Banks, a Social Media Sensation who has been writing, performing and producing comedy shows for 4 years. Banks built his brand through social media with fan bases at almost 2 million followers. Come get your double dose of laughter at the Nothing But Funny comedy tour! Tickets are available online here or call (202) 296-7008. Tickets are available online here or call (919) 828-5233. Tickets are available online here or call (716) 853-1211. 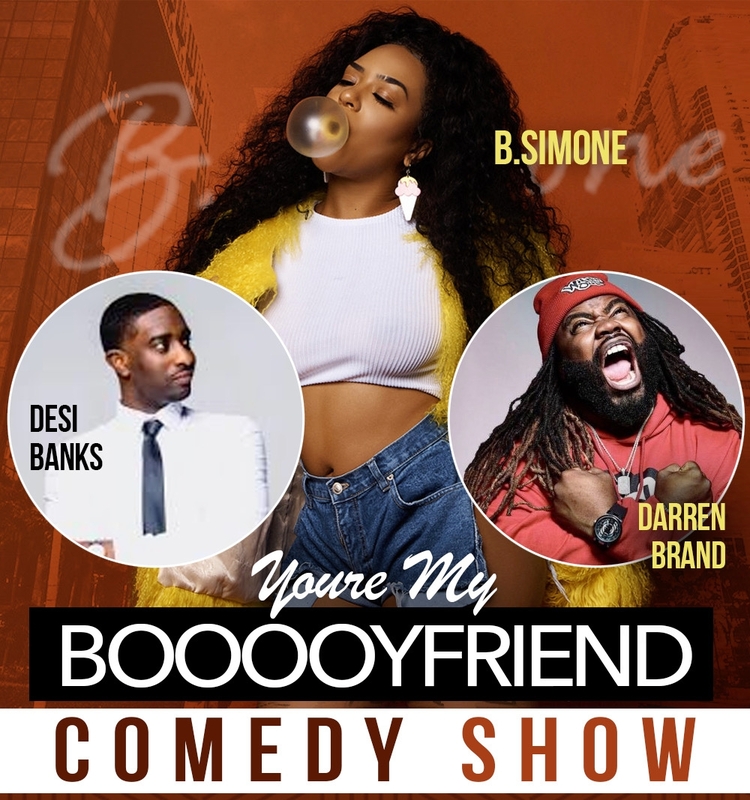 Writer, Actor Comedian Darren Brand is well known for his comedic performance on Nick Cannon’s Wild 'N Out along with his MTV YouTube show with Timothy DeLaGhetto "Basic to Bougie”. 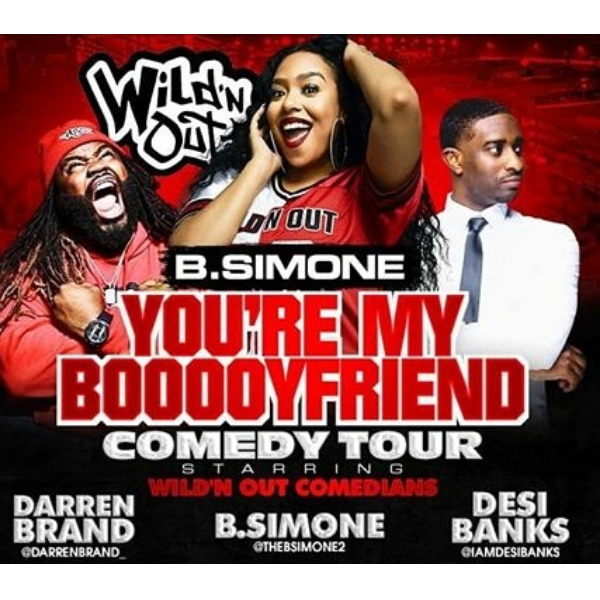 Brand takes his wildly acclaimed Laugh & Paint Comedy Show on the road with friends Erica Duchess and artist Phillip Osbourne. All supplies included. Table reservations available at ATLCOMEDYTHEATER.COM. Tickets are available on Eventbrite for the show here. Tickets are available online here or call (617) 933-8047. Watch video below for details or visit ciaastepshows.com to purchase advance tickets now! Tickets are available on Eventbrite for the show here or visit ciaastepshows.com for details. Tickets are available online here or call (561) 833-1812. Tickets are available online here or call (305) 441-8200. Tickets are available online here or call (214) 823-5233. Join comedian Darren Brand and friends for FAST BREAK: All-Star Day Party at The Imperial in Uptown Charlotte. Presented by NXLEVEL QC. Hosted by Darren Brand with music by Deron Juan, DJ Paperz and Kam Hicks. Join comedian Darren Brand and friends for FAST BREAK: All-Star Day Party at the NASCAR Hall of Fame in Uptown Charlotte. Presented by NXLEVEL QC. and Eddietainment. Hosted by Darren Brand with music by DJ Cuttz, DJ Paperz, DJ Loui Vee and DJ Quicksilva. With B.Simone, Watch Jazzy, Erica Duchess, Toya Turnup and Pretty Vee. Hosted by Darren Brand. Tickets are available online here or call (336) 333-2605. Tickets are available online here or call (480) 719-6100. Tickets are available online here or call (407) 480-5233. Tickets are available online here or call (813) 864-4000. Tickets are available online here or call (215) 496-9001. Tickets are available online here or call (303) 307-1777. GET YOUR LAUGH ON ALL THANKSGIVING WEEKEND IN THE ATL! 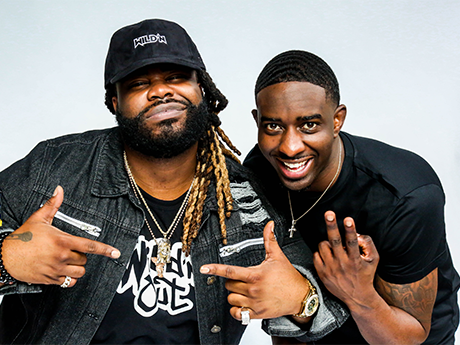 No stranger to television, Ronnie has been featured on BET's Comic View, Martin Lawrence Presents The 1st Amendment Stand-up, P. Diddy Presents Bad Boys of Comedy, his 30 minute special for Kevin Hart's LOL Network and currently is the comedic entertainment on WE TV's Bossip. Joining him for the BIG AF TOUR are comedians Darren Brand and Tyler Chronicles for a night of unforgettable fun and laughter.